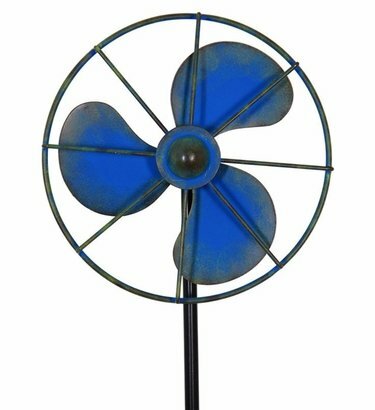 If you're into vintage, these classic metal kinetic fans will add that special touch of nostalgic charm to your garden! Wind driven, these pieces of art are simple and elegant! Size: 13" x 4" x 60"H. Metal.